Do You Have Your 3-D Glasses Ready? 3-D movies have become commonplace at local multiplexes, particularly animated and big-budget blockbuster action and adventure movies. While 3-D movies may seem like a recent trend, 3-D technology stretches back almost to the earliest days of filmmaking. There have also been two prior periods of high popularity for 3-D movies before the 21st-century revival. 3-D movie ticket sales have been on the decline in recent years. This has led to many commentators declaring that the current 3-D movie trend may be reaching its end point. However, history has shown that 3-D movies are a cyclical trend — it only takes an advancement in 3-D movie technology to captivate audiences of a new generation. Early film pioneers explored technology for 3-D filmmaking, but none of the developments led to a process that would be both visually pleasing and technically sufficient for commercial exhibition. As the very first films were being shot and exhibited at the turn of the century, motion picture pioneers like English inventor William Friese-Greene and American photographer Frederic Eugene Ives experimented with 3-D filmmaking. In addition, the final movie shot by Edwin S. Porter (the one-time head of Thomas Edison’s New York studio) was made up of various 3-D scenes, including views of Niagara Falls. These processes were rudimentary and the small exhibitors at the time saw little commercial use for 3-D movies, especially since "2-D" movies already were a hit with audiences. Additional advances and experimental exhibitions took place throughout the 1920s and included a series of 3-D shorts from French studio Pathé called the “Stereoscopiks Series” that was released in 1925. Like today, audiences were required to wear special glasses to view the shorts. A decade later in the United States, MGM produced a similar series called “Audioscopiks.” Although the spectacle thrilled audiences for a short time, the process used to create these early 3-D movies created significant glare, making it unsuitable for feature-length films. In the early 1930s, Edwin H. Land, the co-founder of film production company Polaroid, developed a new 3-D process that reduced glare by using polarized light and syncing two different images (one for the left eye and the other for the right eye) projected by two projectors. This new process, which was far more reliable and visually effective than prior 3-D processes, made commercial 3-D films possible. Still, studios were skeptical of the commercial viability of 3-D movies. With an increasing number of Americans buying televisions, movie ticket sales began to drop and studios were desperate for new ways to draw audiences back to the theater. Some tactics they used were color features, widescreen projections, and 3-D movies. In 1952, radio star Arch Oboler wrote, directed, and produced "Bwana Devil," an adventure movie based on the true story of man-eating lions in East Africa filmed in “Natural Vision.” This 3-D process was developed by brother inventors Milton and Julian Gunzburg. It required two projectors to exhibit and audiences needed to wear cardboard glasses with gray polarized lenses to view the effect. Since every major studio had previously passed on the Gunzburg's 3-D process (with the exception of MGM, which had acquired the rights but let them lapse without using it), Oboler initially released "Bwana Devil" independently in just two Los Angeles theaters in November 1952. The film was a smashing success and gradually expanded to more cities over the next two months. Taking notice of the box office potential of 3-D, United Artists acquired the rights to release the film across the country. In the wake of the success of "Bwana Devil," several other 3-D releases followed that were even bigger successes. Of them all, the most notable early hit was the horror film and technological milestone "House of Wax." Not only was it a 3-D film, but it was also the first wide-release film with stereophonic sound. With a $5.5 million box office gross, "House of Wax" was one of the biggest hits of 1953, starring Vincent Price in the role that would make him a horror movie icon. Columbia embraced 3-D technology before other studios. With 3-D movies across a range of genres, including film noir ("Man in the Dark"), horror ("13 Ghosts," "House on Haunted Hill"), and comedy (the shorts "Spooks" and "Pardon My Backfire," both starring the Three Stooges), Columbia proved to be a pathbreaker in the use of 3-D. Later, other studios like Paramount and MGM began using 3-D for all kinds of movies. In 1953, Walt Disney Studios released "Melody," the first 3-D cartoon short. Highlights of this 3-D boom included the musical "Kiss Me Kate" (1953), Alfred Hitchcock’s "Dial M for Murder" (1954), and "Creature from the Black Lagoon" (1954), though these films were also simultaneously released in “flat” versions for theaters not equipped with dual projectors for 3-D projection. This 3-D craze was short-lived. The projection process was prone to error, subjecting audiences to out-of-focus 3-D movies. Widescreen projections were more successful at the box office and while widescreen technology required expensive new projectors, it did not have the calibration issues so common with 3-D technology. The last 3-D film of this era was 1955's "Revenge of the Creature," a sequel to "Creature from the Black Lagoon." In 1966, "Bwana Devil" creator Arch Oboler released the 3-D sci-fi movie "The Bubble," which was notable for its use of a new 3-D process called "Space-Vision." Using a special camera lens, 3-D movies could be filmed on an ordinary movie camera with a single strip of film. As a result, "The Bubble" only needed one projector for exhibition, eliminating any calibration issues. Though this much-improved system made 3-D filming and projecting more practical, it was rarely used through the rest of the 1960s and the 1970s. Notable exceptions include the 1969 X-rated comedy "The Stewardesses" and 1973’s "Flesh For Frankenstein" (produced by Andy Warhol). The second major 3-D trend came with the 1981 Western "Comin’ at Ya!" A popular, but unconfirmed, rumor is that the movie was so popular with audiences that its theatrical run was briefly interrupted in some markets because theaters ran out of 3-D glasses. 3-D quickly became the go-to promotion for horror movies, especially for the third film in a horror series: "Friday the 13th Part III" (1982), "Jaws 3-D" (1983), and "Amityville 3-D" (1983). 3-D movies from the 1950s "Golden Age" were also re-released to theaters. The 1980s 3-D revival was even shorter than the initial craze in the 1950s. Few major studios went back into 3-D filmmaking, and when the 1983 big-budget 3-D sci-fi film "Spacehunter: Adventures in the Forbidden Zone" failed to turn a profit, most studios abandoned the technology again. Notably, the era saw the first animated feature made in 3-D, 1983’s "Abra Cadabra." As 3-D became less common in local movie theaters, it was embraced by "special attraction" venues like theme parks and IMAX, the giant-size screen projection system. Theme park attractions like Captain EO (1986), "Jim Henson’s Muppet Vision 3-D" (1991), "T2 3-D: Battle Across Time" (1996) featured 3-D movie shorts. Museum exhibitions also used the technology in short, educational films, like James Cameron’s 2003 documentary "Ghosts of the Abyss," which explored the underwater wreck of the RMS Titanic. The film was one of the most successful documentaries of all time, inspiring Cameron to use 3-D technology for his next feature film. Over the next two years, two very successful 3-D movies were released, "Spy Kids 3-D: Game Over" and the IMAX version of "The Polar Express," which set the stage for the most successful 3-D movie era yet. Advancements in digital production and projection made the 3-D projection process even easier for filmmakers and studios. Cameron would later co-develop the Fusion Camera System, which could shoot in stereoscopic 3-D.
With the advances in technology, studios became more comfortable with 3-D technology. Disney released its 2005 animated feature "Chicken Little in 3-D" in almost 100 theaters in the United States. The year 2006 saw the release of "Superman Returns: An IMAX 3-D Experience," which included 20 minutes of 2-D footage that had been "upconverted" to 3-D, a process that allowed filmmakers and studios to create 3-D movies using film shot in 2-D. One of the first movies to undergo this conversion process was 1993’s "The Nightmare Before Christmas," which was re-released in a 3-D version in October 2006. Over the next three years, studios released a steady stream of 3-D movies, particularly computer animated films. 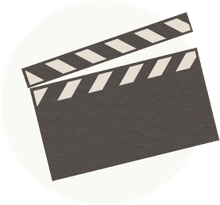 But the movie that changed the game was James Cameron's "Avatar," a 2009 sci-fi epic that utilized what Cameron had learned about 3-D filmmaking during the making of "Ghosts of the Abyss." "Avatar" became the highest-grossing movie in film history and the first film to gross more than $2 billion worldwide. With the unprecedented box office success of "Avatar"and its groundbreaking technical advancements, 3-D was no longer viewed as a gimmick for schlocky movies. Hoping to achieve the same success, other studios ramped up their production of 3-D movies, sometimes converting movies already shot in 2-D into 3-D (such as 2010's "Clash of the Titans"). By 2011, multiplexes all over the world had converted some or all of their auditoriums to 3-D theaters. The majority of theaters used projection methods developed by visual effects company RealD to do this. Decline: Ticket Prices and "Fake 3-D"
The popularity of 3-D films is on the decline, one of several signs that we are approaching the end of another 3-D trend. But this time, technology is not the main issue. Because theaters charge more for 3-D exhibition tickets than the same film in 2-D, audiences are more likely to choose the cheaper ticket over the 3-D experience. Unlike "Avatar" and other landmark films like Martin Scorsese's "Hugo," most 3-D live-action films today are originally shot in 2-D and converted later. 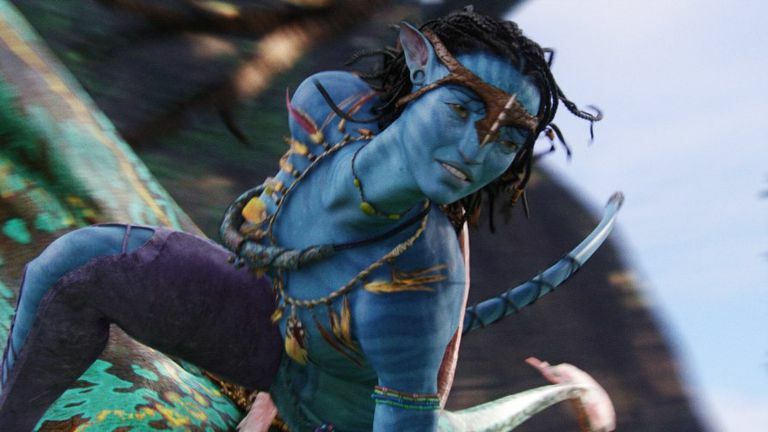 Audiences and critics have expressed disappointment that they are paying extra for "fake" 3-D as opposed to the groundbreaking "native" 3-D effects seen in "Avatar." Finally, 3-D televisions are now available, and while they make up a small number of televisions sold, they allow consumers to watch 3-D movies in their own homes. Regardless of declining ticket sales, there is no doubt that studios will continue to release 3-D movies for at least the next several years. Still, audiences shouldn't be surprised if another "rest" period comes along eventually... followed by another 3-D craze with another generation!